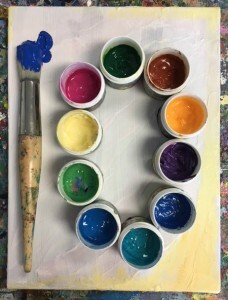 Join us from 1:00 to 3:00 on Friday May 11th, 2018 to help celebrate ten years of creativity, art and friendship. Hear from the founding member and director Maria Daley about the humble beginnings of the studio, its amazing growth and some of the highlights and achievements in the past ten years. 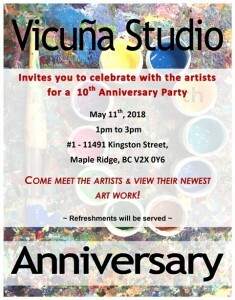 Everyone is welcome, light refreshments will be available and a collection of works spanning ten years will be shared alongside the latest works not yet seen by the public.